To use the bar, you need to wet your hair and gently rub the bar onto it until it lathers. Alternatively you can rub the bar in between your hands to create the lather. Then you need to massage the lather into your hair and scalp and rinse thoroughly. A lot of shampoo bars tend to be round or oval in shape, and gripping them can be a little tricky when they’re wet. 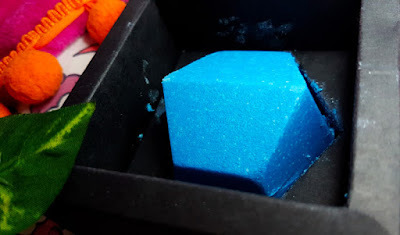 The design of this bar means that it is really easy to hold and it also looks like a big, bright gem sitting in your bathroom! The bar lathers up super easily so a little goes a long way. This means from the offset that you know that one bar is going to have great longevity. You also get to really enjoy that beautiful scent of the shampoo whilst you wash. It’s quite a heavy, warming scent, so it’s particularly great for use during the colder months and either in the morning or at night. Once you’re done, the EXOTIC Shampoo is really easy to rinse, even though it creates a thick lather. It also leaves a subtle lingering scent in the hair, but this may fade more if you follow it up with a conditioner or other hair products. When your hair is dry, this shampoo leaves it feeling soft, shiny and clean. My hair can go greasy quickly, but I have a dry scalp. Lovely combo! This shampoo does a great job at keeping oil at bay for longer whilst not drying out the scalp further. If you do need to wash every day though, this is gentle enough for daily use. The big pro for me with this though is the price. The bar is a very decent size along with the fact that you don’t need much per use and it does a good job at keeping oil at bay for longer means that you get a lot of bang for your buck. A lot of people may not be happy to spend just over £10 on a shampoo, but it will likely last longer than a standard bottle that you could buy otherwise, and replacing those bottles adds up. 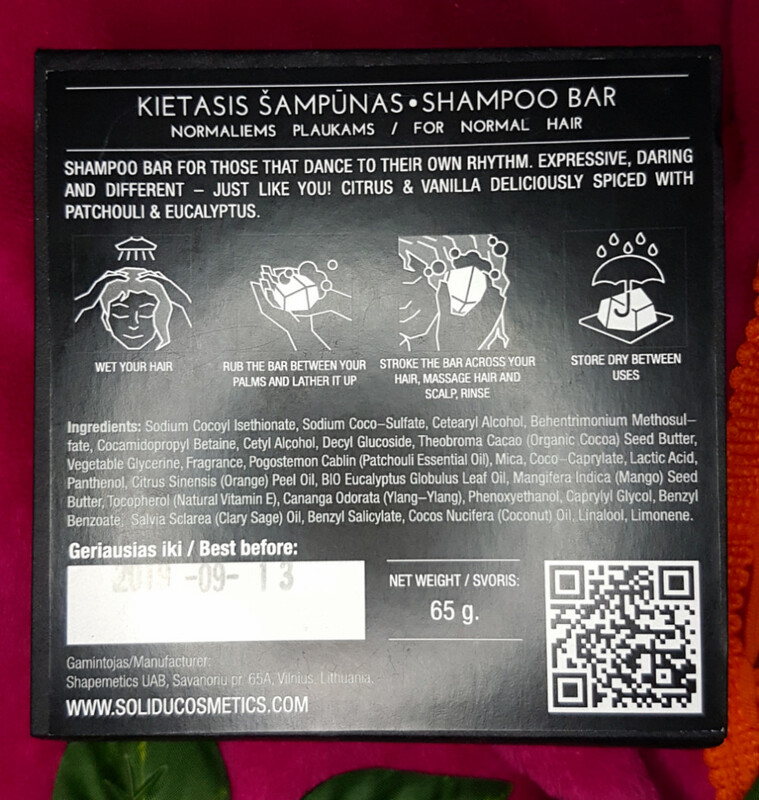 Overall, I’m really enjoying the SOLIDU EXOTIC Shampoo bar. I think it’s incredible value for money as well as being gentle on your hair whilst still being good at its job. If you have different hair types, you can also check out their other shampoos. SOLIDU also sell body soap if you’d like to check that out too. 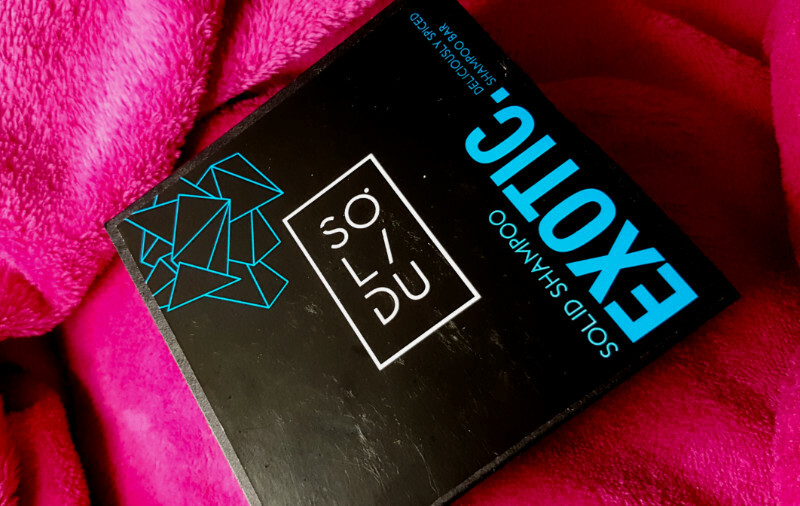 You can purchase the SOLIDU EXOTIC Shampoo bar and the rest of the SOLIDU range from KlipShop. 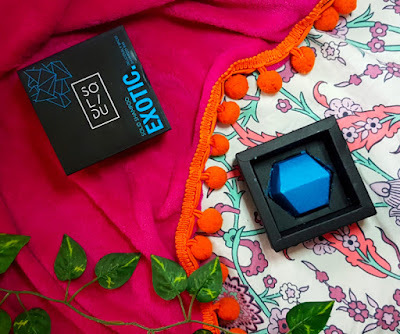 What are your thoughts on the SOLIDU EXOTIC Shampoo bar? What are your favourite environmentally friendly products?